Opening their final homestand of the season against visiting UC Riverside (19-32, 3-17 Big West), the CSUN softball team swept Saturday’s doubleheader against the Highlanders 5-1 and 8-5 to give head coach Tairia Flowers a career-high in season wins with 23. Breaking a 1-1 tie in the first game with her first home run of her career at CSUN (23-29, 9-11), redshirt sophomore designated player Jennifer Tyler blasted a three-run home run over the left field fence in the sixth inning. Tacking on a fourth run in the sixth inning, the Matadors would go on to win the game 5-1 and give senior Shelly Tait her ninth complete game of the season. Tait walked four and struck out two while giving up an unearned run to the Highlanders. Making her first career start, sophomore first baseman Adrienne Martinez went 2 for 3, including her first career double, and drove in one run. Jumping all over the Highlanders pitcher in the second game, CSUN grabbed a first inning two run lead on senior center fielder Mia Pagano’s bases loaded double into the gap. 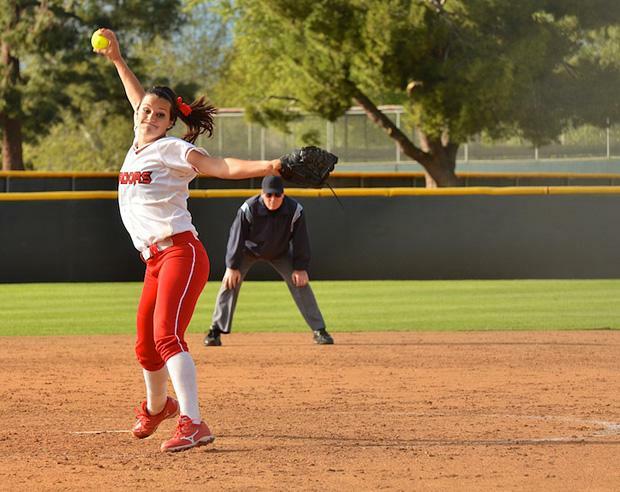 Riverside broke through early against CSUN pitching, putting two runners on the bases in the second inning against senior pitcher Alexa Limon, making her second start of the season. Limon’s day would be done after senior center fielder Kayla White smashed a home run over the left center wall to give UCR its first lead of the day 3-2. A two-out double down the left field line by the Highlanders would increase their lead to 5-2 in the fourth inning, but the five runs is all their offense could muster. Loading the bases with no outs in the bottom of the fourth inning, the Matadors made two quick outs without getting the ball out of the infield. Two walks, a balk, a fielding error and a single scored five runs for Northridge that would give them the lead for good. “We definitely battled back, we fought until the very end and the outcome showed it,” Martinez said. The Matadors extended the lead 8-5 with another run in the fifth inning. 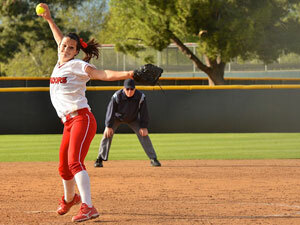 Shutting down the Highlanders over the last 4.2 innings, Pagano earned her first victory since a complete game victory over Seattle University on March 17. Pagano went 3 for 4 with three RBIs in the second game after a 1 for 3 game in the first. “I knew I wanted to have Alexa’s back because she threw well enough, we needed a momentum changer and so I wanted to shut (UCR) down and change the momentum of the game for the team,” Pagano said.